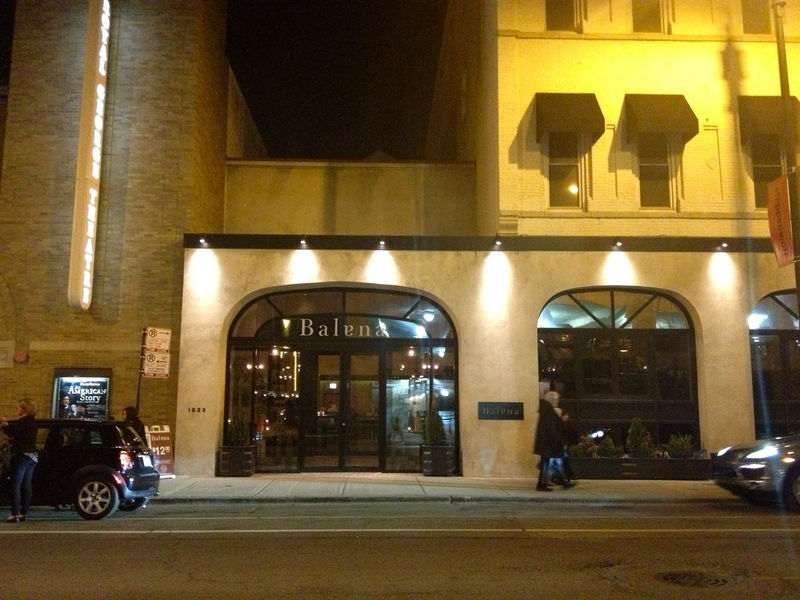 I had pretty high expectations for Balena, which has been named one of the top 10 new restaurants IN THE COUNTRY. I met up with my friends Lauren, Bridget, and Tara there for a night that was sure to bring lots of delicious food, tasty drinks, and even better conversation. 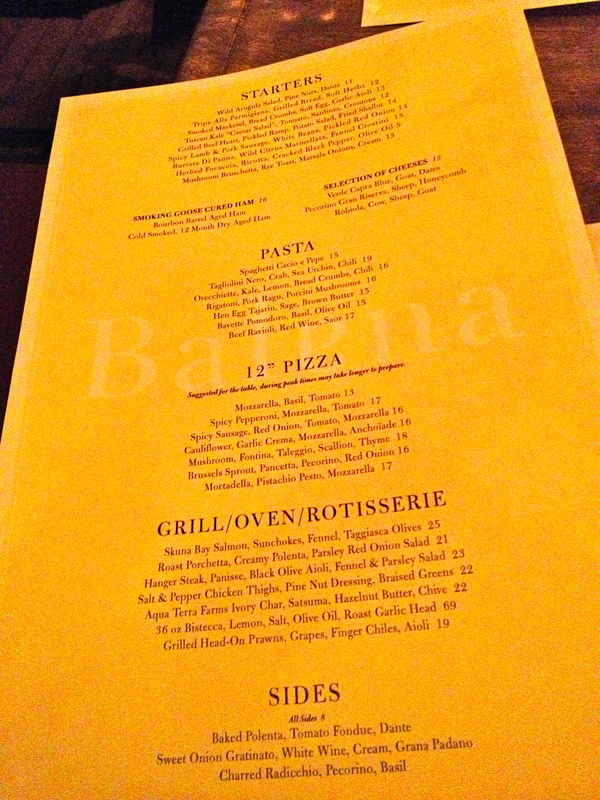 When you walk into Balena, it’s a large restaurant with tall ceilings (used to be Landmark), but somehow they’ve managed to make it feel cozy. 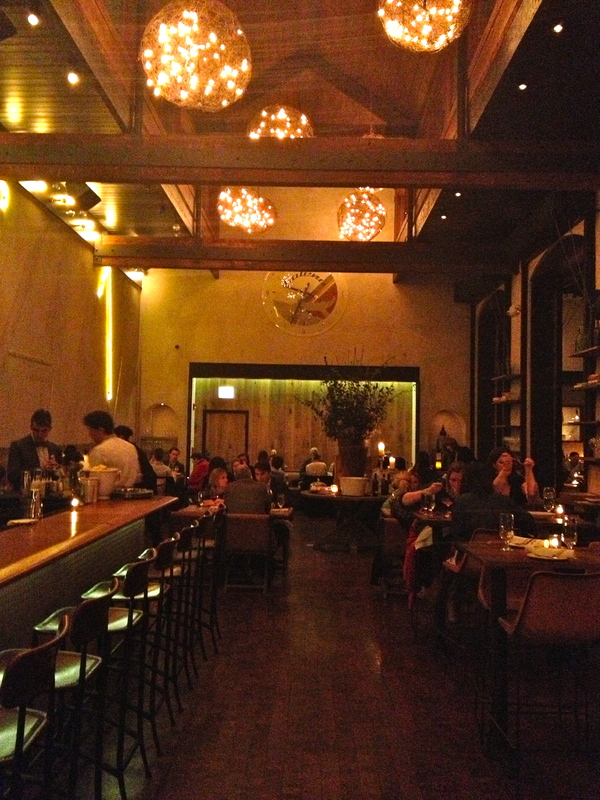 The dim lighting, the warm neutral tones, the luxurious seating—can your interior designer come to my apartment? I had a really rough day at work that day (we’re getting into our busy season, so my apologies if my posts feel few and far between! 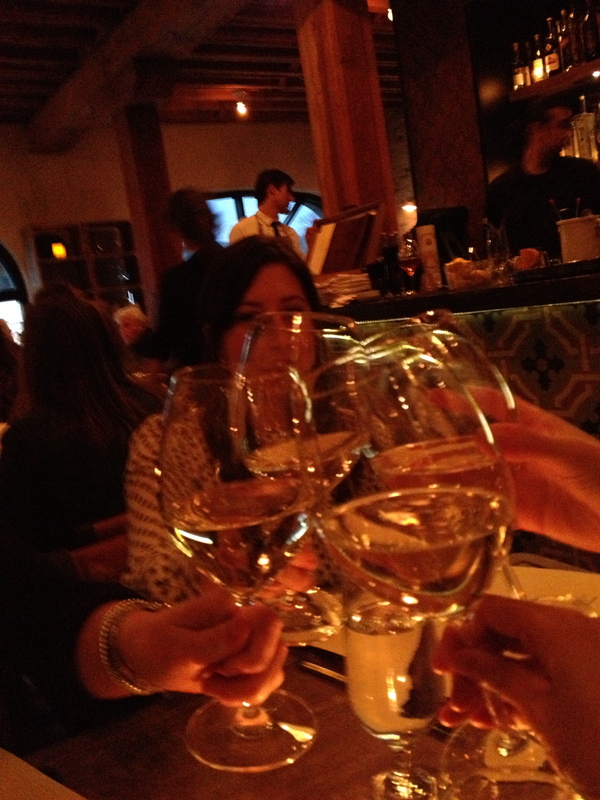 ), so I was ready for a glass of Prosecco stat. 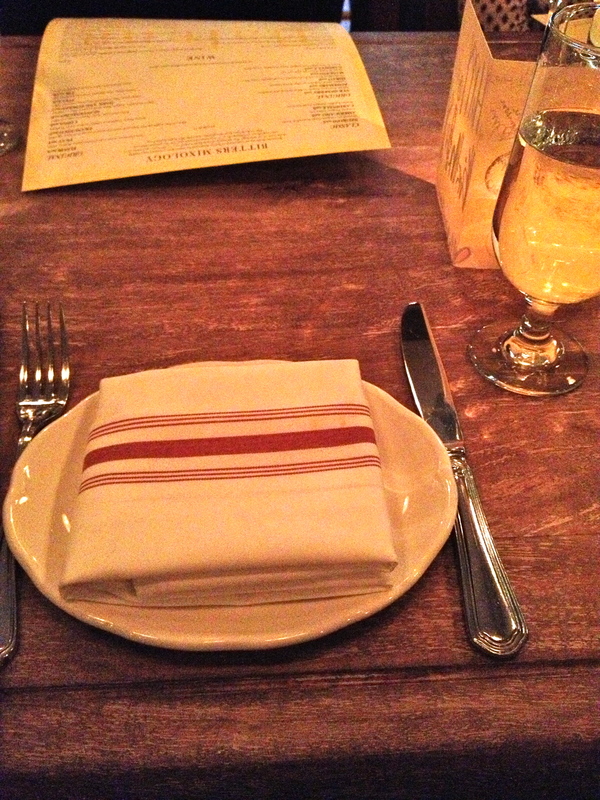 I sat down and within minutes I had water at my table setting and my drink was ordered. I have to note that our waiter was not only good looking (a cross between the lead singer of the All American Rejects and Cillian Murphy), but he gave great recommendations and service. Definitely starting off on the right foot. 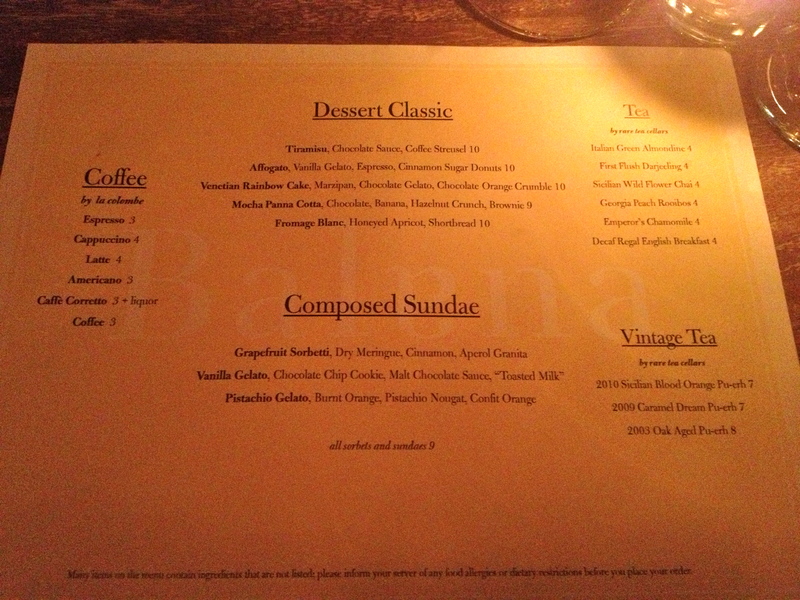 The menu at Balena is best for sharing, which I am a fan of. I was one of those kids who didn’t like my food to touch, and I ate everything in a specific order (OCD, anyone?). It’s so nice to share with people who push you a little outside your comfort zone. 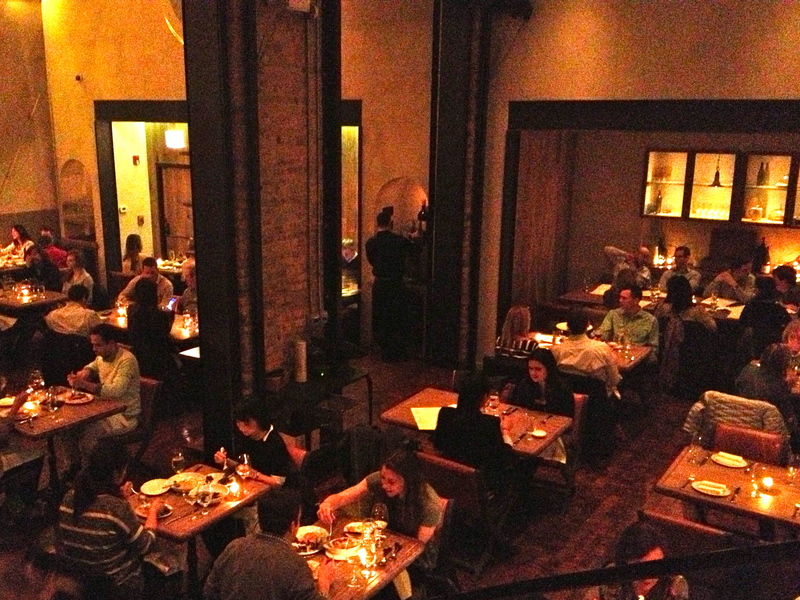 We started with the Herbed Focaccia, Ricotta, Cracked Black Pepper, and Olive Oil. 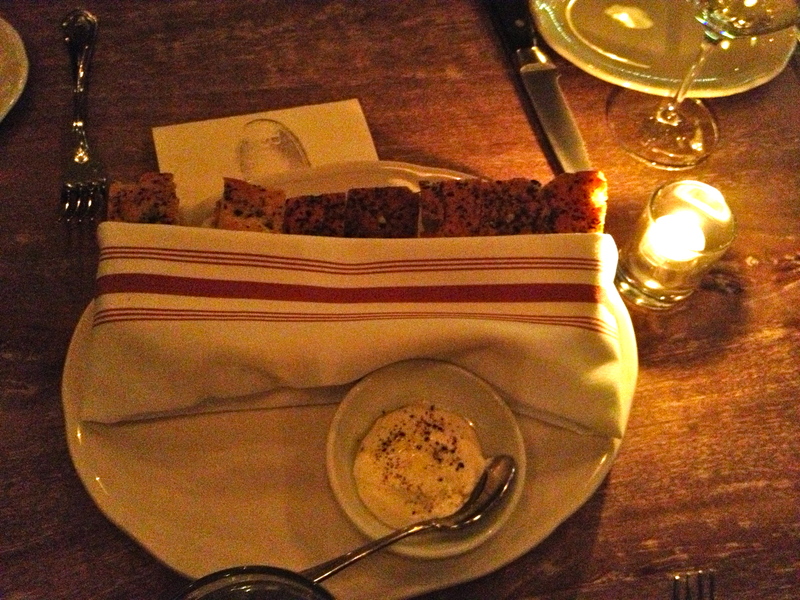 The focaccia was delicious (dind’t try the fresh ricotta), and I loved the presentation. 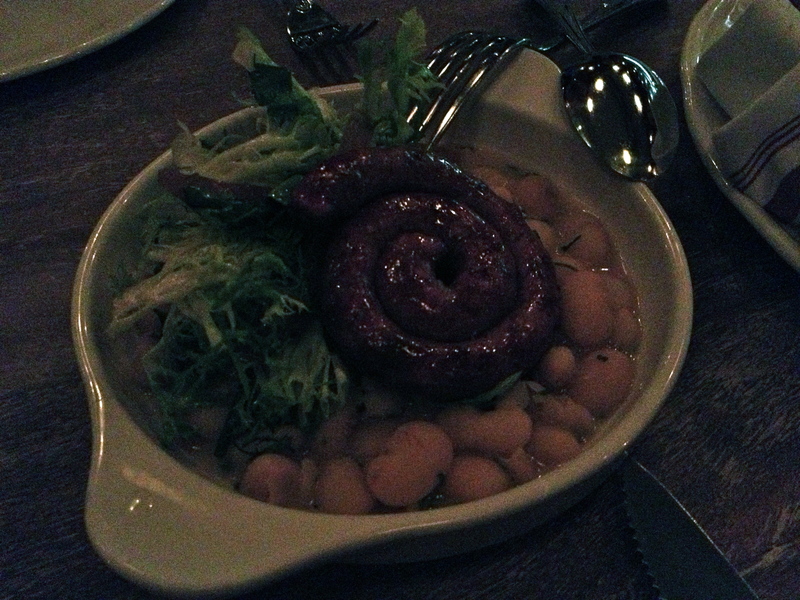 We followed that with Spicy Lamb & Pork Sausage, White Beans, and Pickled Red Onion. Now, I had to slice the sausage immediately because I didn’t care for the presentation, but it was perfectly paired with the white beans. And I’m not really one for frisee salad, but this lettuce was insanely flavorful. 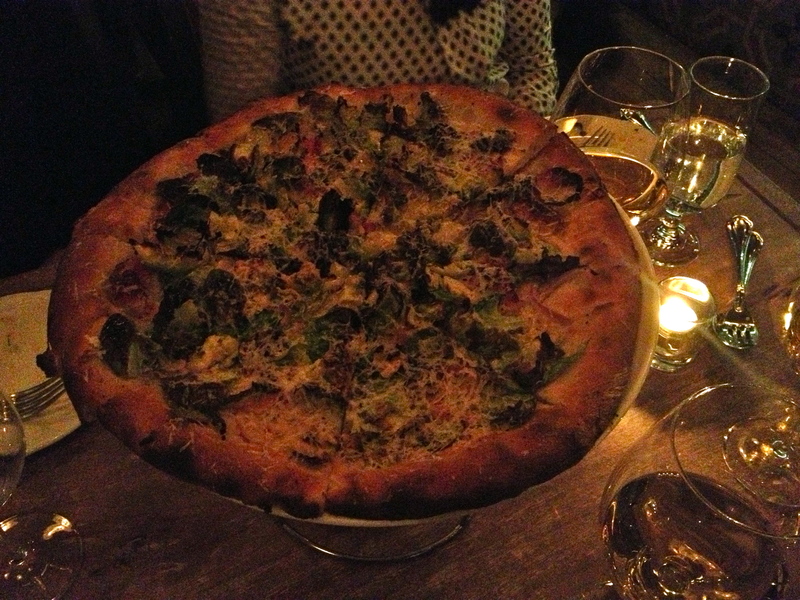 Then came the Brussels Sprout, Pancetta, Pecorino, and Red Onion Pizza, which was surprisingly light and fresh. Their pizzas are big, so we each had two pieces. 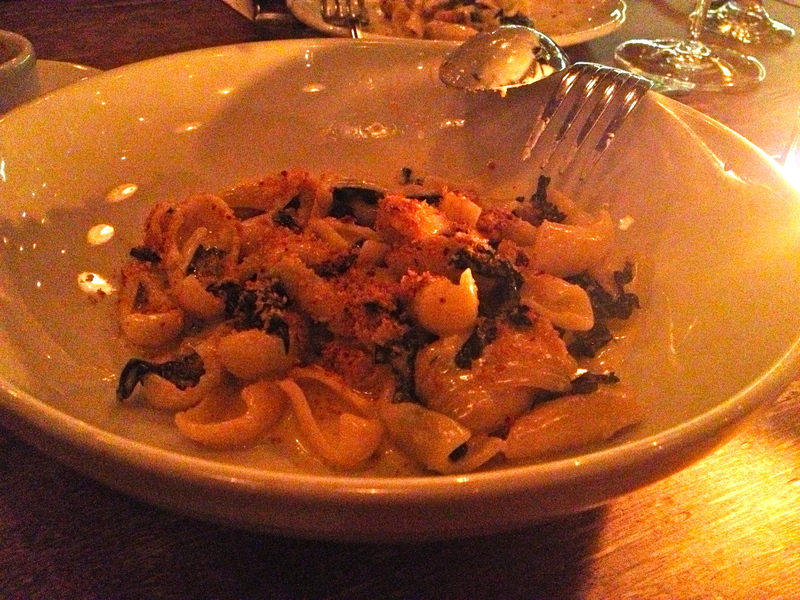 Next came the Orecchiette, Kale, Lemon, Bread Crumbs, and Chili Pasta, which tasted to me like the richest, most decadent pasta on the planet. I could have eaten bowls full of this. Our order from the Grill/Oven/Rotisserie portion of the menu was Roast Porchetta, Creamy Polenta, and Parsley Red Onion Salad. 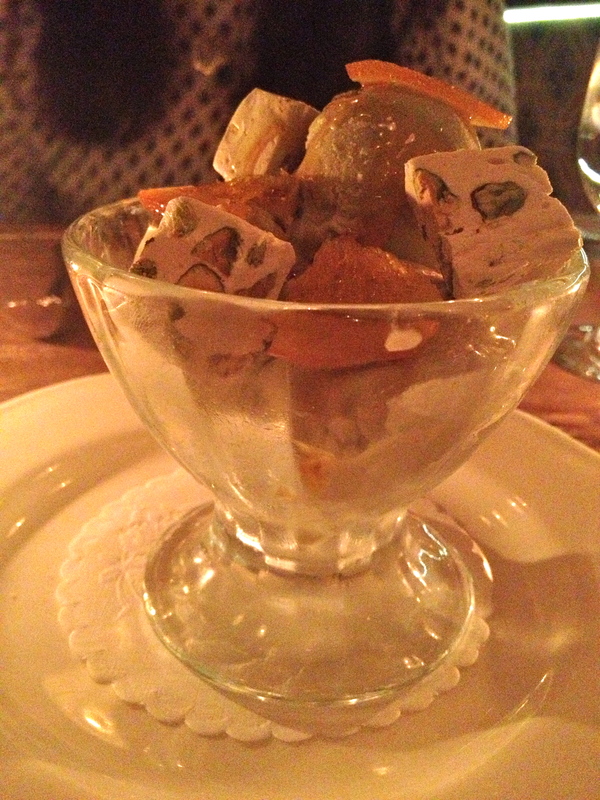 By this time, we were all hitting our limits because we knew we wanted dessert, but it was divine. 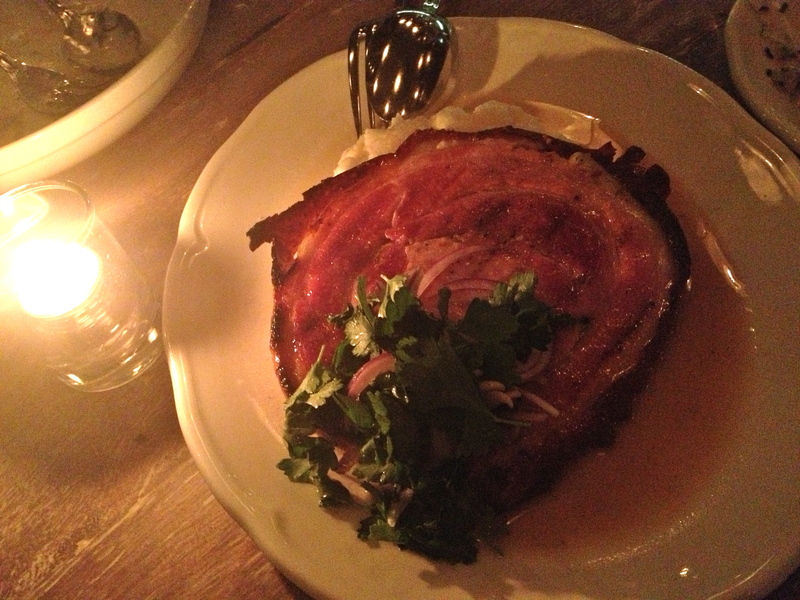 The ends of the meat were crisp and full of flavor, and the creamy polenta melted in my mouth. Lastly, we shared the Affogato, Vanilla Gelato, Espresso, and Cinnamon Sugar Donuts (these donuts are heavenly), and the Vanilla Gelato, Chocolate Chip Cookie, Malt Chocolate Sauce, and “Toasted Milk” (I didn’t try this one, but the girls said it was amazing). Whether you need a night out with your girls, or want to take your special someone out for a romantic date night for two, Balena is the place to go. Need to take Nate here!